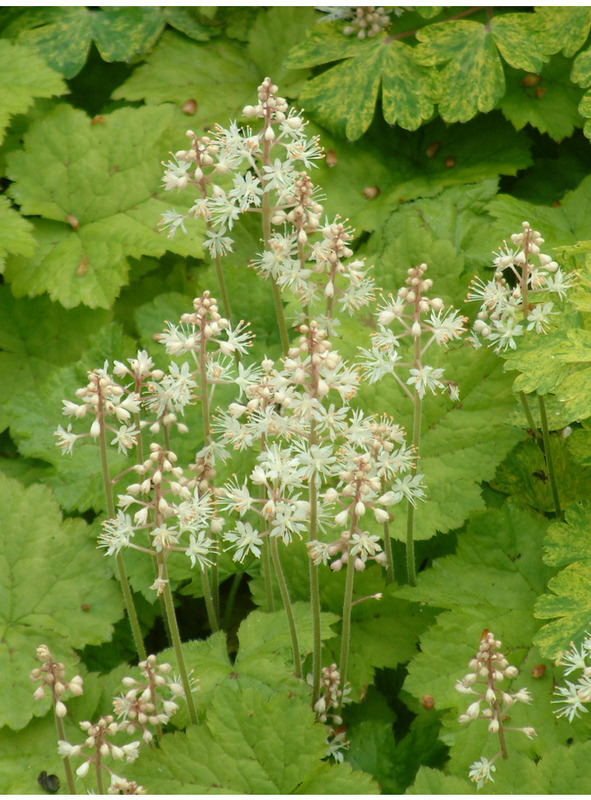 A plant native to damp, wet woodland of eastern North America. Running trails of pretty pointed green leaves form complete almost evergreen cover. In spring a mass of foaming creamy-white flowers spikes. 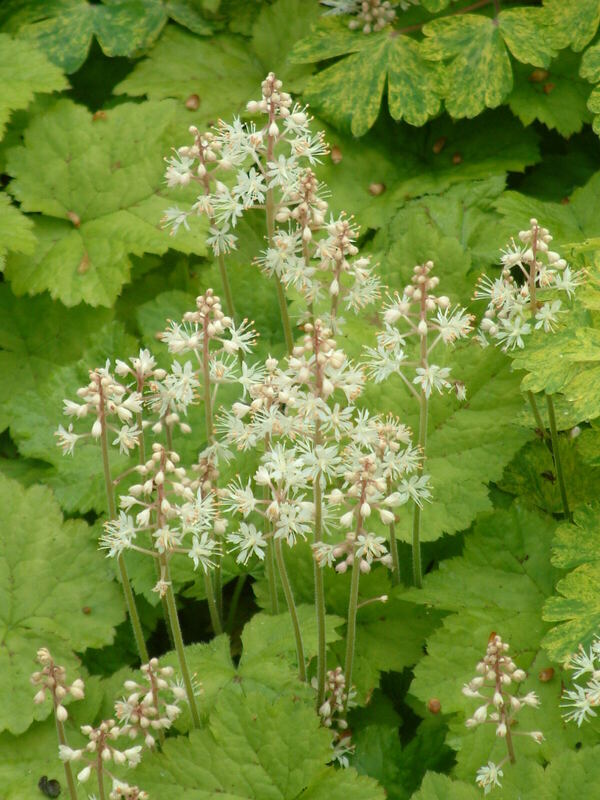 An essential plant to interlink taller shade loving plants. Early summer.